ThePigFoot has been on a loooong hiatus – first because of a desperate dash to get as much of that dratted dissertation done before heading back to Italy, followed by Italy’s unwillingness to cooperate with adequate internet, and ending with Croatia’s (holiday post to follow) flat refusal to live up to the promise of free wi-fi. 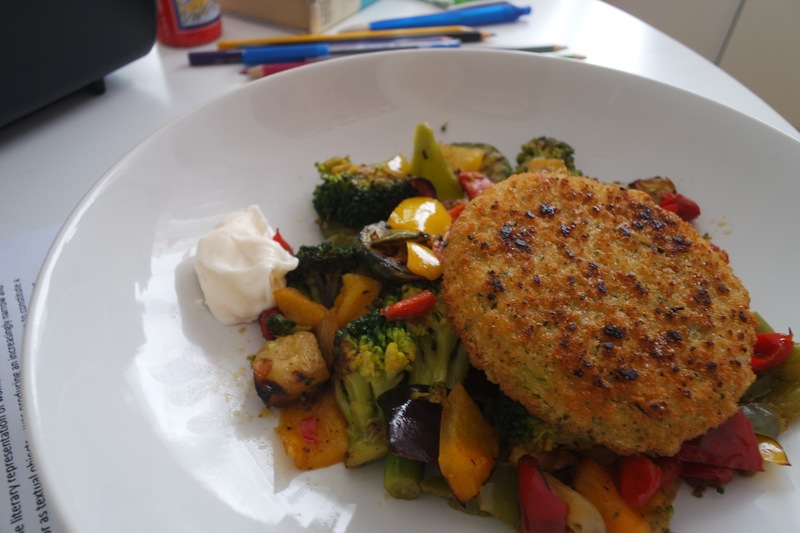 Here is some of what I consumed during those dark days of dissertationing (emphasis on the quick and the carby), happier days of mother’s home cooking and blissful days of I’m-on-holiday-I’ll-eat-carbs-if-I-want-to. 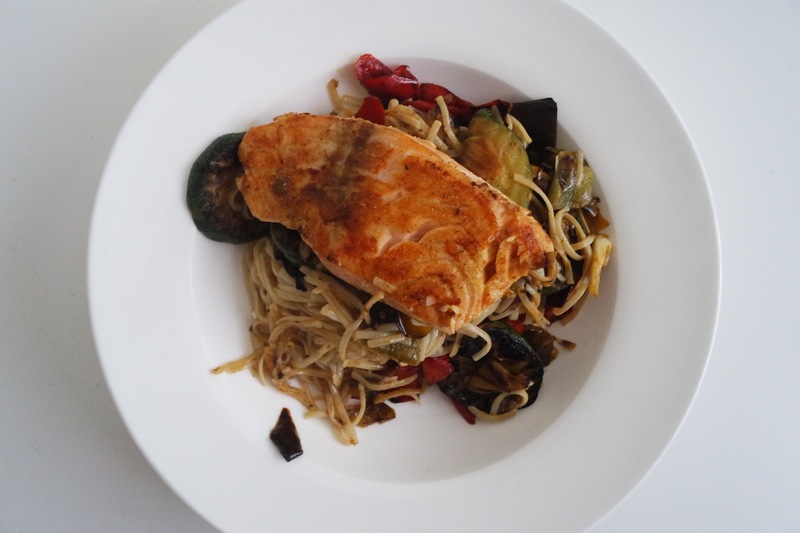 Pan-seared salmon, brown rice soba noodles and veggies – not too desperate yet. 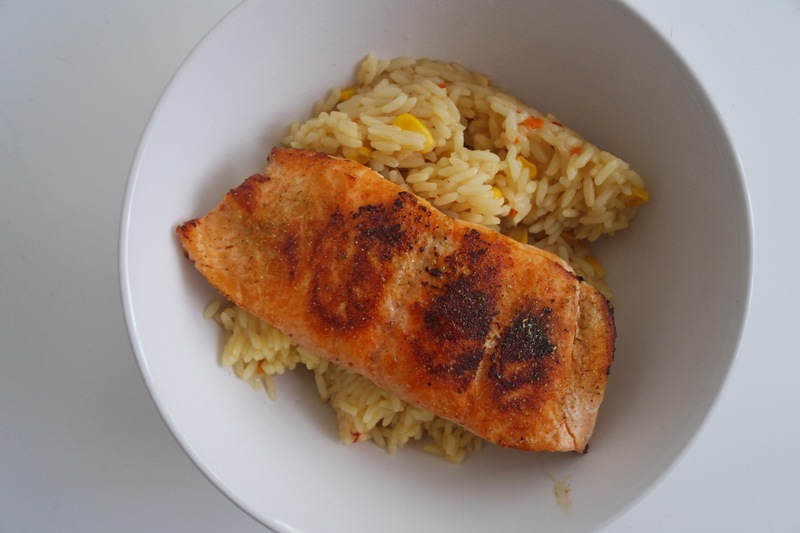 When in doubt, reach for the Uncle Ben’s – Jamie Oliver loves it, so it can’t be that bad can it. A veritable paragon of virtue, veggie burger atop abundant veggies. 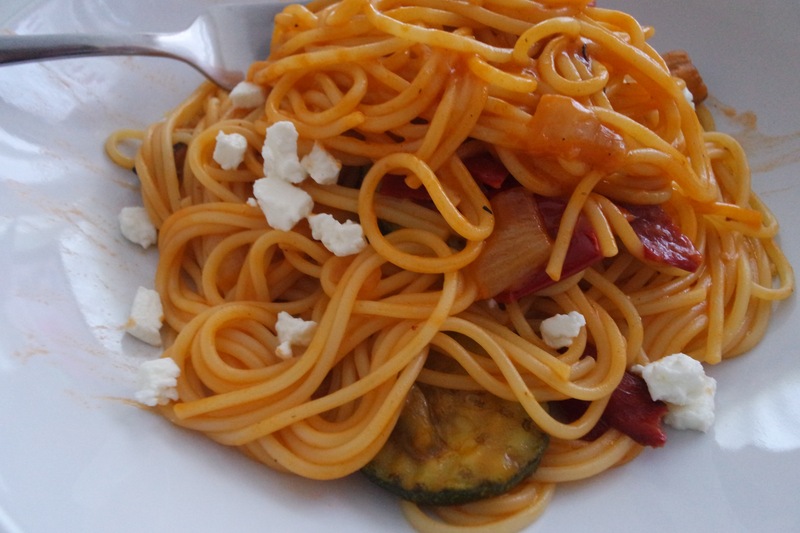 Slipping back into the pasta habit, but in my defence those are grilled veggies. And feta must be good for something, right? 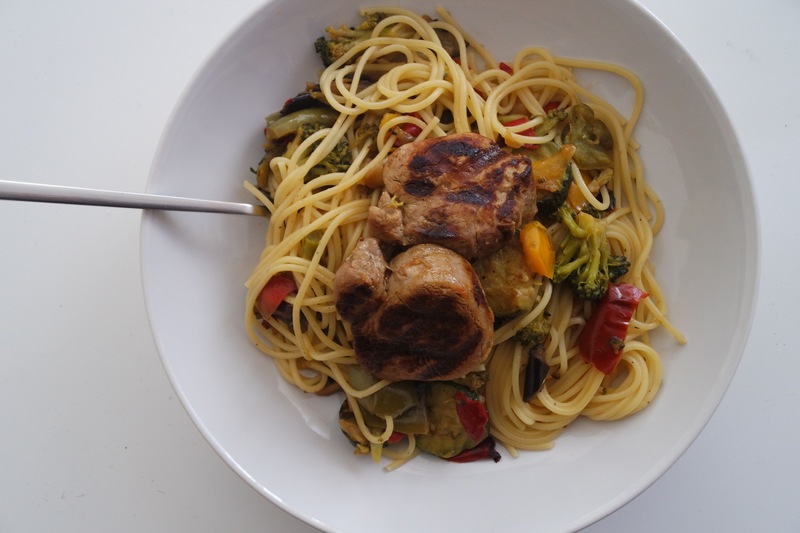 Erm more spaghetti…With veggies AND pork medallions this time. 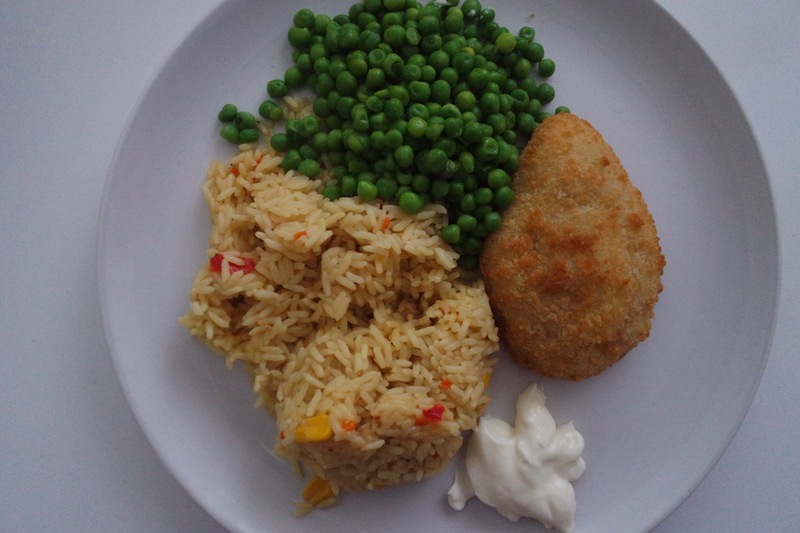 This is where I obviously decided more was more – Uncle Ben’s (savoury chicken mmmm), cordon bleau, peas and a cheeky dollop of mayo. 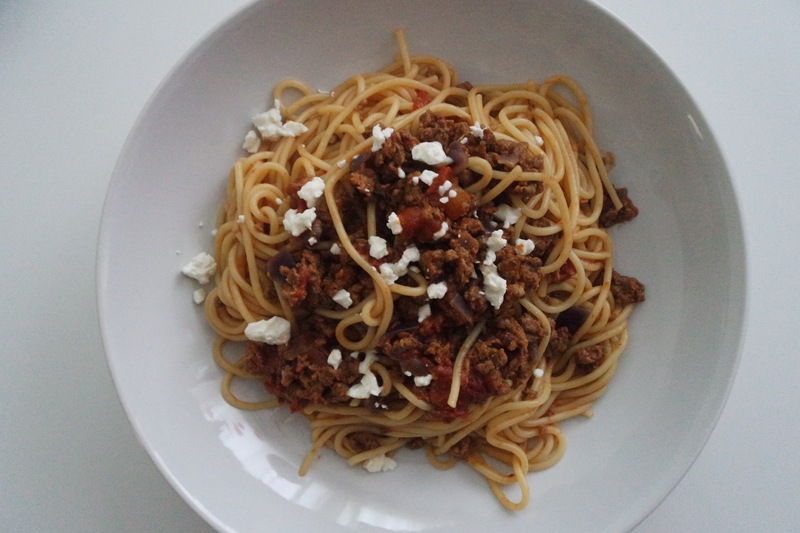 Back to the ol pasta (quorn ragu and sprinkled feta), I think you know where this is going by now. 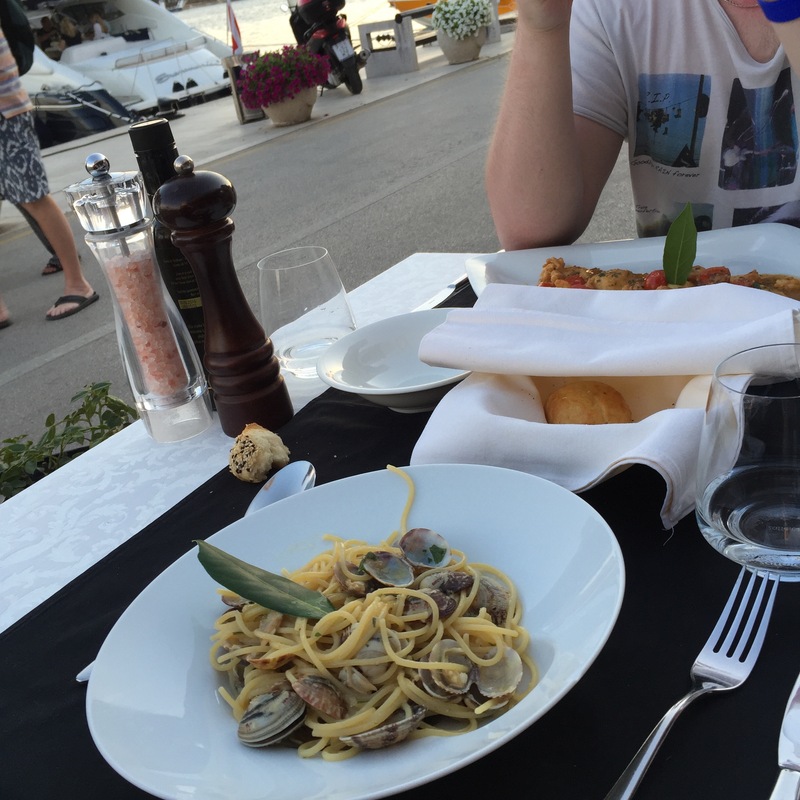 Yup, spaghetti – with mussels because beach. Lee went with carbonara because he doesn’t get location appropriateness. 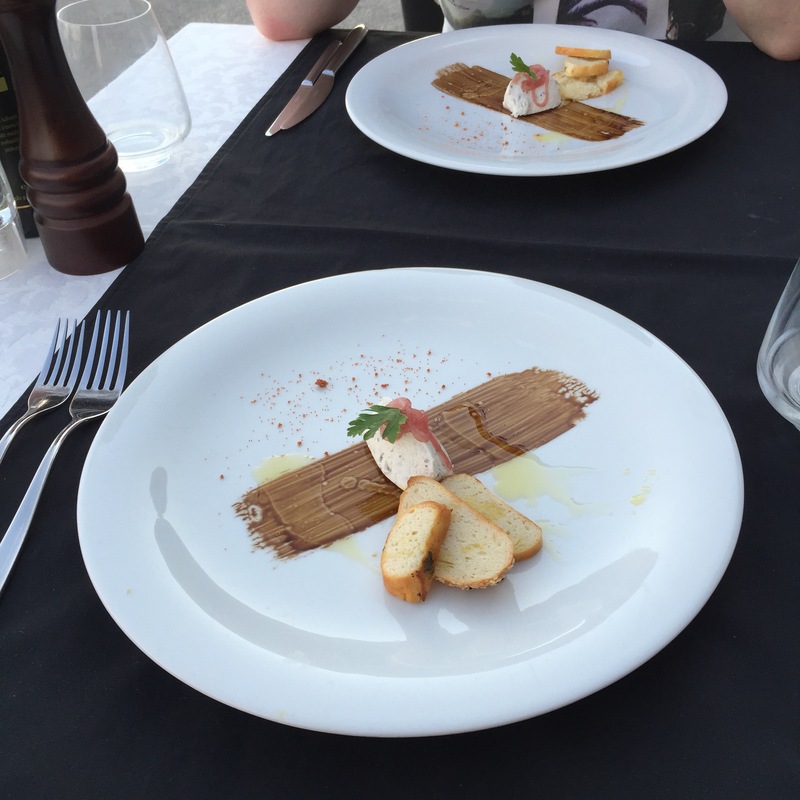 Some sort of truffle-y tasting soft cheese that we didn’t order but was nevertheless very pleasant. 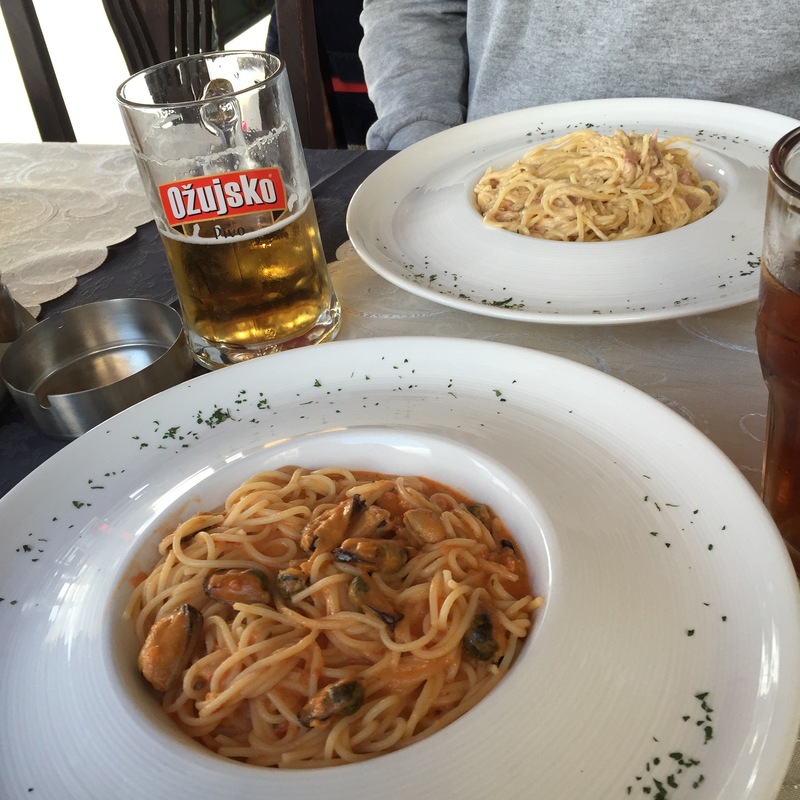 Spaghetti because by now I get shaky if I don’t get my daily dose – this time with clams. 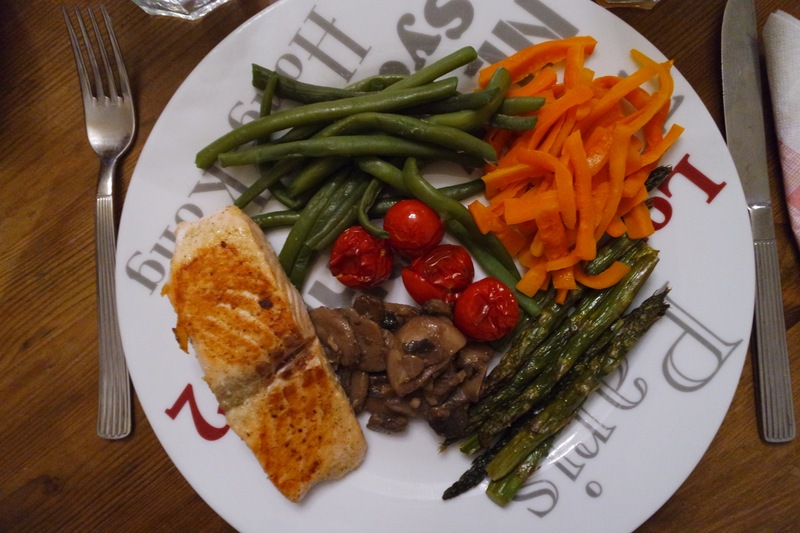 Mother takes things into her own hands and banishes the stodge. 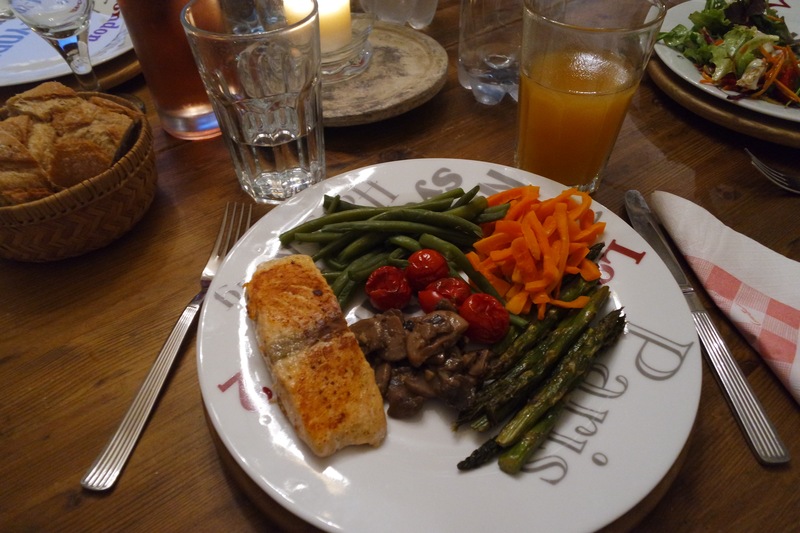 Salmon, green beans, carrots, tomatoes, mushrooms and asparagus. The bread is just for show. 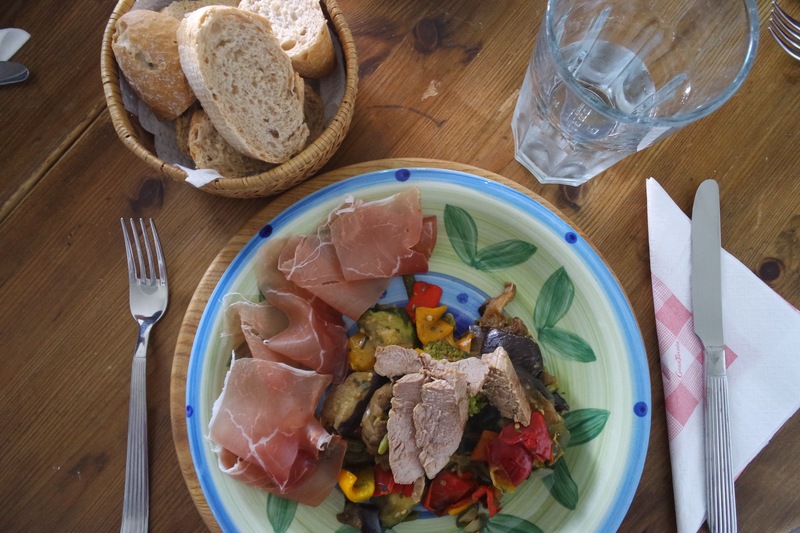 Grilled veggies, pork and yummy speck. 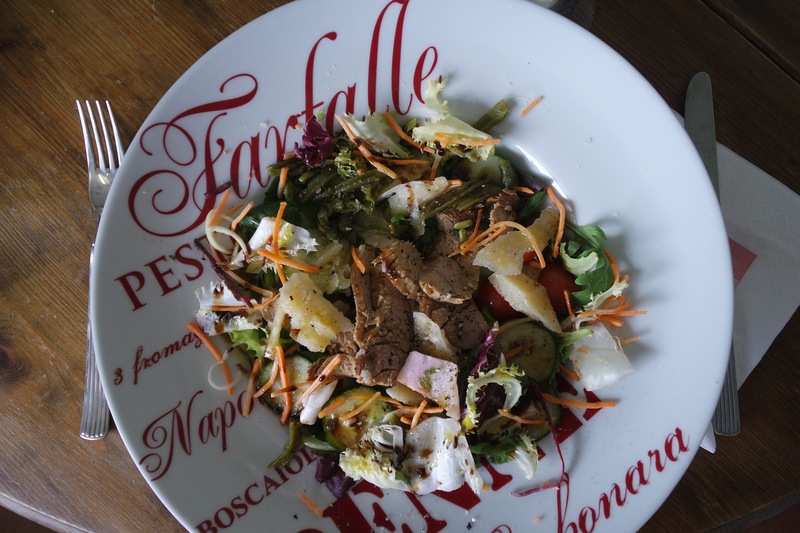 This was everyone else’s – as you might know if you’ve been following for a while I’m allergic to raw fruit and veg and this would kill me – big and beautiful bowl of salad with parmesan shavings and pork. 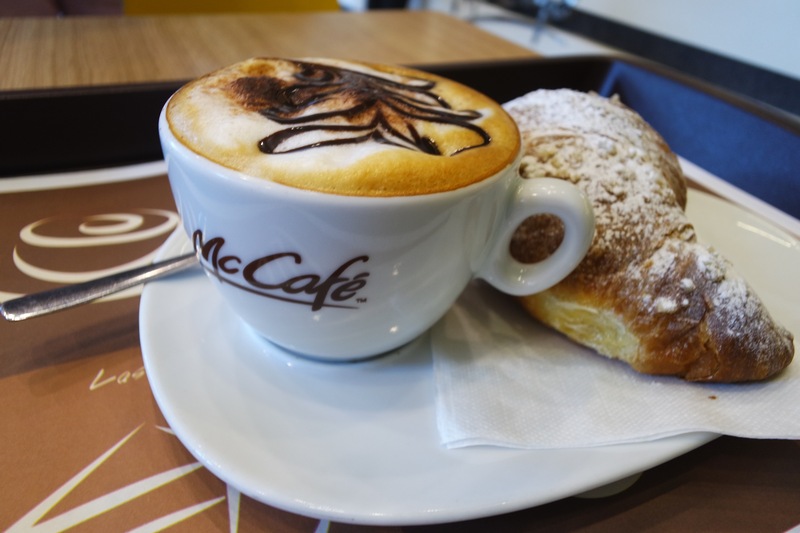 This is a must when I’m in town – strange as it may sound, I’m adamant that McDonald’s cafè does the best coffee and croissants. 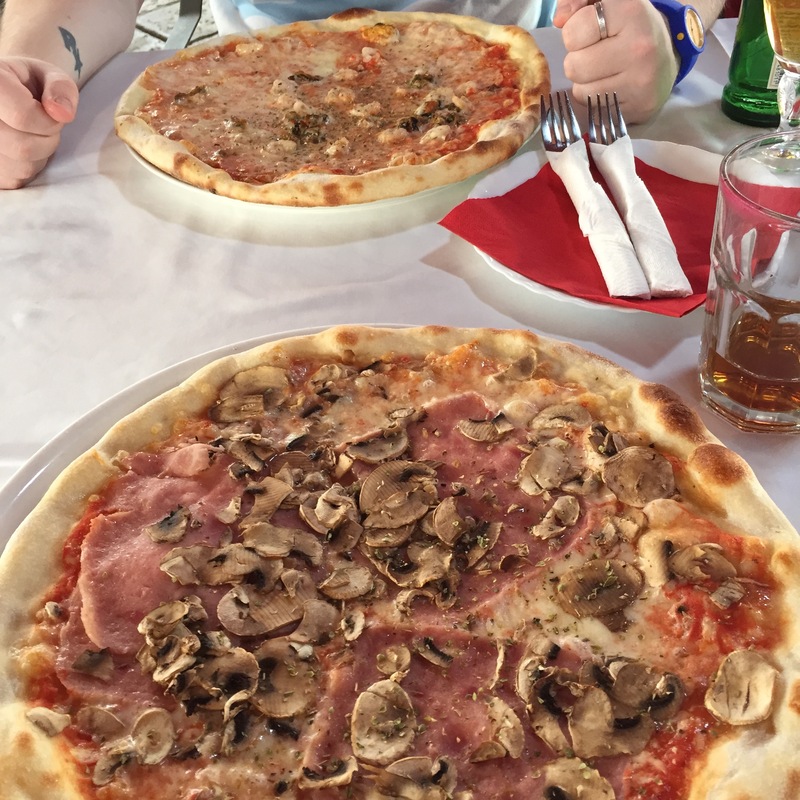 Everything looks super tasty! Have a great rest of the week!